A.W. 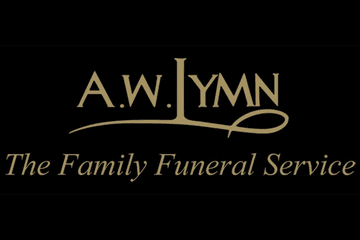 Lymn is a family-run funeral director firm serving bereaved families from Alvaston, Osmaston Park, Sinfin and other communities around the Derby area. From day 1 Mark Chapman was fantastic. He helped us through one of saddest times in our lives. Nothing was to much trouble. The service for my dad was amazing thanks to Mark and the A.W.Lymn team. 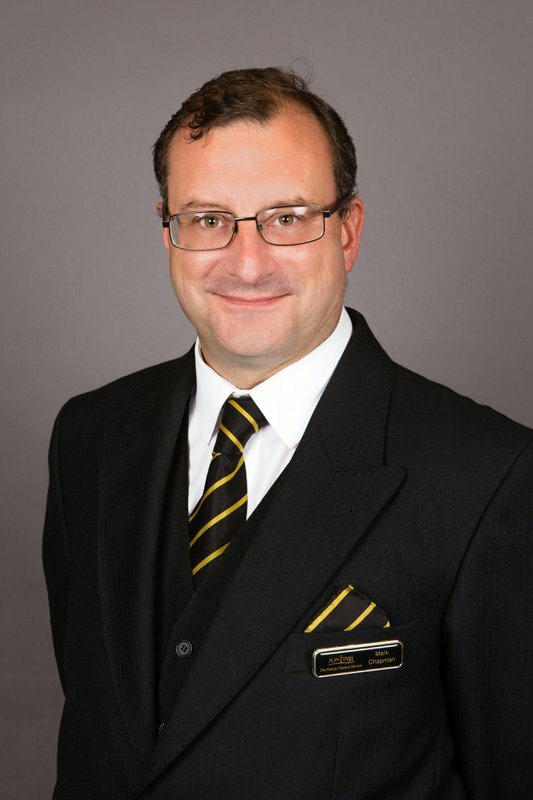 Located at Wentworth House, our Osmaston Park branch opened in March 2010 and funeral director Mark Chapman is in charge of the office, along with Kevin Hall, who is the area manager. cold room facilities. There is also the possibility to accommodate ritual washing if requested. Mark is available to see clients from 9 am to 5 pm Monday to Friday, or at any other time by appointment – our telephone number operates 24 hours a day. The branch covers all of Osmaston Park and its surrounding area, including Alvaston, Chaddesden, Findern, Normanton, Sinfin and beyond. Nigel Lymn Rose, former president of the National Association of Funeral Directors’ manages A W Lymn The Family Funeral Service, along with his sister Jackie and his son Matthew. It was an honour to be able to help you with the arrangements and to be able to make Sara’s coffin choice so personal, as it was painted Sweet Pink as Sara wanted it to be. I would also like to thank you for your kind words and for entrusting me and A.W. Lymn to take care of Sara. If I can be of further assistance at any time you just need to ask. Thank you, Mark. Thank you for this lovely review. I am so pleased that I was able to help you during this very difficult time and that with my support you were able to create a personalized service with selected music and even a special route to the Crematorium. I am also grateful to you for taking the time to leave this positive review and for your recommendation. Thank you, Mark. I cannot thank you enough for your kind words, and it was truly an honour for me to help you plan Mr Hague’s Funeral. I thought your choice of wicker coffin with the carnation garland was beautiful and the extra little things during the service made it completely unique. It was a pleasure to get to know you all and to make this very difficult time a little easier. Thank you, Mark. I would like to thank Donna, Daniel and Dean for all of the time you spent with me arranging a fitting Funeral for such a lovely lady, who I had the pleasure in meeting. I would again pass on my condolences to you all and remind you that my door is always open and the kettle will be on. Thank you, Mark. I am pleased that you were happy with everything we did for your late brother and I was honoured to be able to take care of his final journey. I am also glad that the service James Lindsay provided was as you requested. Thank you, Mark. I want to just say thank you to you both for giving me the honour of looking after Natalie and arranging her funeral. It has been very rewarding to be able to form a great relationship with you and to be able to make an extremely difficult and sad time a little easier for you and your family. I hope that if you are passing you will call in and have a cup of tea or coffee, as you are both wonderful people. Thank you, Mark. Just want to say a big thank you to Lymns and especially Mark for not only sorting everything but also going above and beyond with his fantastic support in this very difficult time. He is an absolute credit to Lymns not only as an employee but as a person. We could not have asked anymore. He was very professional, organised and was always available. We would not hesitate to use Lymns in the future and Mark and will highly recommend him to anyone who is unfortunate enough to lose a loved one. Many thanks once again for everything. I would like to thank you for your kind words about A.W. Lymn and myself as it was an honour to help you and your family at such a difficult time. My thoughts are very much with you over the coming months and if you need to just have a chat or I can help in any way, then please let me know. Thank you, Mark. Excellent support in everything from start to finish. Would like to thank Mark for his help especially. It was an honour for me to help arrange your mother’s funeral and to make sure all your wishes we met. Thank you for your card and for your kind review. Mark. excellent service all the way through . I am very happy that you were pleased with the service you received from A W Lymn and myself personally and I thank you for your kind words, time and for entrusting me with the care of Mrs Biggs. Mark. We cannot thank Mark enough for his excellent care , for making it all so much more bearable and going the extra mile to make sure it all went off without a hitch . I would highly recommend Lymns to everyone . I really would like to thank you for your kind words and for entrusting the care of your mother to myself and A.W. Lymn. I am glad that i was able to make this difficult time more bearable for you. Thank you, Mark. David, It was an honour to be able to assist you and your family and to take care of Mrs Joan Mary Gibson, and I thank you for your kind words. Mark. We were helped though a very tuff time in our lives. The sevice was professional but friendly and supportive. We were keept informed all the way through, nothing was a problem or to difficult to sort out. I would happily recomend AW Lymn to anyone going through this difficult time. We are pleased that Marks professional, friendly and supportive service helped make this difficult time a little easier for you and we would thank you for you nice review and your recommendation. Thank you for your kind and detailed review, particularly in regard to the supportive, caring, compassionate, friendly and respectful service offered by Mark. We are pleased this with his support and guidance you were able to create a very special and personalised service for your Son and are glad that he was able to make this extremely difficult time a little more bearable for you and your family. Thank you. We are sorry that this is the second time you have needed to use our services over recent years but would thank you for your kind words about Mark and are glad that he has looked after you so well on both occasions. Thank you. Thank you for these lovely words, we are pleased that Mark's thoughtful and friendly service helped to put you at ease and support you during this difficult time. Mark has also asked me to pass on his personal thanks for your kind words and to remind you that his door is always open for a cuppa and a chat, and your recipes will be with you soon. Mark was very good . He helped us through a very difficult time . In a very professional good humored manner. This put us at ease . At a very stressful time. He also makes a very nice cup of tea. Thank you. Both Mark and I would like to thank you for these kind words. We are pleased that he was able to put you at ease with his profesional manner and occassional good humour, and are glad you enjoyed his tea making skills. Thank you. Mark and his team were amazing throughout all stages of the funeral. I can’t recommend them highly enough. Thank you for this kind review and recommendation. Mark has asked me to pass on that it was his pleasure to meet and help you and your family and he is glad that you thought the service was excellent throughout. Thank you for your very kind review and high rating. We are glad that Mark looked after you so well, giving good advice and allowing to you create a wonderful and personalised service. Mark would also like to pass on his thanks for such lovely comments and says it was his honour to have helped you make Mr Matthews funeral so individual. 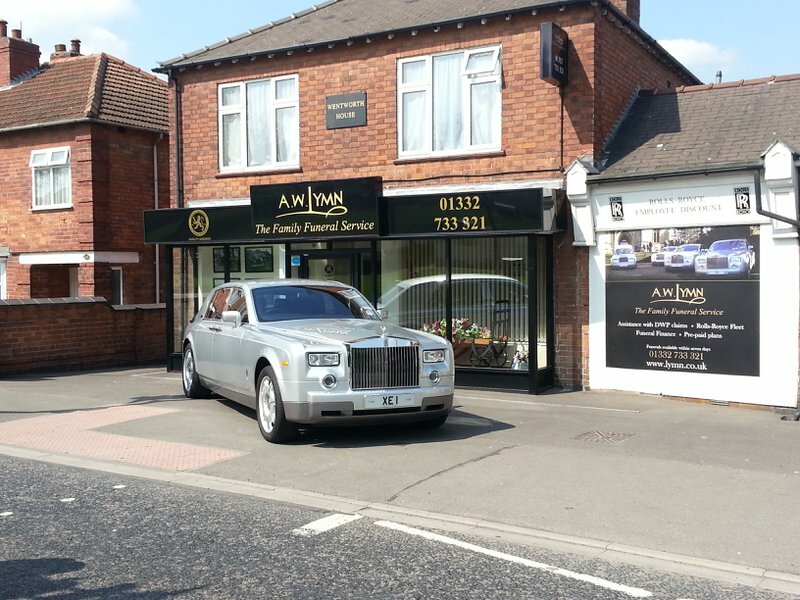 I highly recommend this funeral director/company. In particular the branch at Wentworth House, Derby. Customer Service is of a very high standard with this being a family concern their approach toward the customer is both friendly and professional. The guidance and recommendations given are of great value. It really was appreciated by myself that I left the care of my father in their hands and one that I was totally pleased that I entrusted A W Lymn carried out. In conclusion, I highly recommend the branch at Wentworth House, particularly Mark who's dedication attendance to all details are immaculate and with total dignity. Five star's well deserved. Thank you for your kind words and 5* review. We are pleased that you felt entirely comfortable entrusting Mark to look after your Father at this sad time and are glad that you found him to be professional yet friendly. Thank you. We are pleased that Mark has supported you so well during this difficult and unexpected time and are glad he was able to help you create a beautiful service for your husband, thank you. Excellent service was made to feel at ease and I would Highly recommend. Very professional and service provided was above and beyond. Thank you for everything you did to comfort myself and my family. We are pleased that Derek and Mark offered support and comfort throughout this difficult time and would thank you for your high appraisal and recommendation. The service provided by A W Lymn and the courteous staff was impeccable throughout. Mr Mark Chapman's attention to detail, with such care and thoughtfulness, made sure nothing was overlooked at a very sad time for the family - and this has even continued post-funeral day. The help and assistance given to the bereaved at a very traumatic time is to be congratulated. Both Mark and I would like to thank you for taking the time to leave this lovely review. He is pleased that his attention to detail and thoughtfulness made this traumatic time a little more bearable for you, and asks you to note that the kettle is always on should you need to speak with him. We are pleased that Mark's welcoming manner made you feel so comfortable and would thank you for your kind words. Your help and kindness was very appreciated and all carried out beautifully . Pre-funeral arrangements were also very sympathetically arranged . Thank you for your kind comments, we are pleased that you felt so well looked after both at the time of making the pre-arrangements and at the time of the funeral. The service provided by Mark Chapman and Lymns was second to none. He listened to what we wanted and went above and beyond his duties. Thank you for making the whole process as painless as possible. We are really pleased to see this wonderful review of Mark, and are glad that he went above and beyond to help you and made the process as painless as possible for you. He has asked me to add that he was honoured to have helped you and thanks your for entrusting Mrs Pitt to his care. A.W. Lymn Osmaston Park will provide you with a free obituary as part of their service.